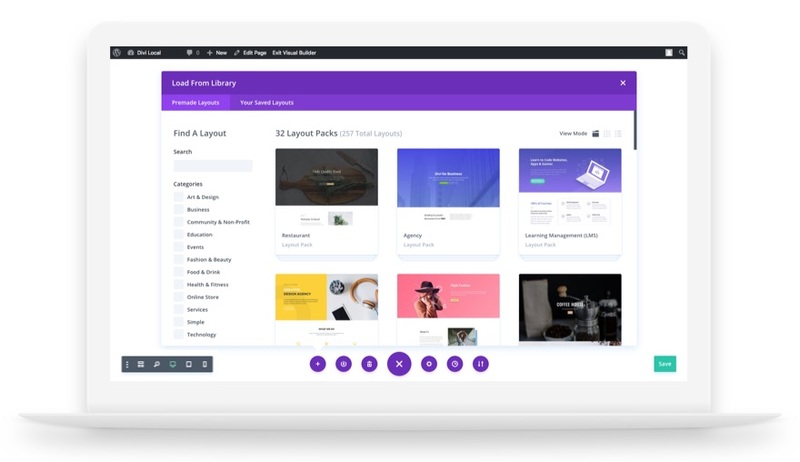 We are double down on design, doubling the size of our design team and double the amount of design resources we will be giving away to the Divi community! We are always looking for ways to over-deliver, to surprise and delight you with even more value and to prove just how special the Divi membership is. 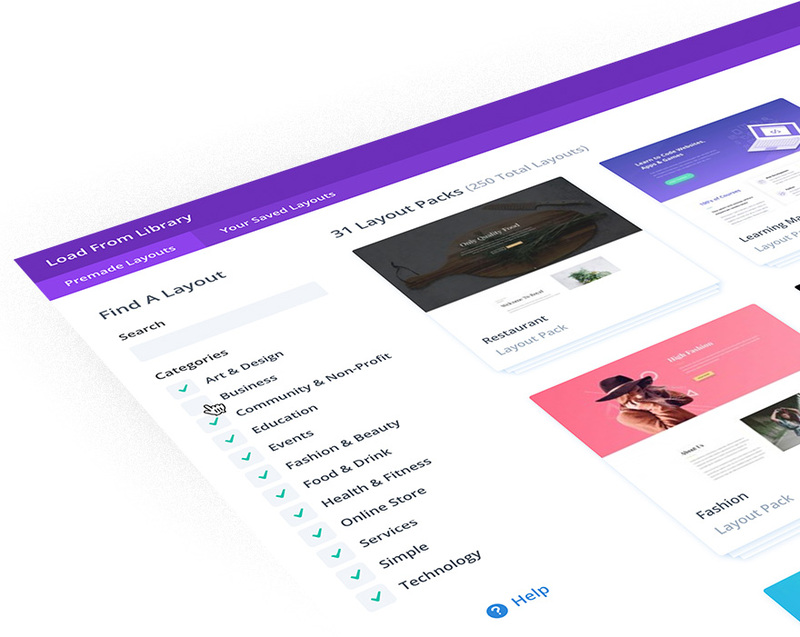 Several months ago we launched our Divi Design Initiative and created a new design team to provide the community with a steady stream of stunning Divi Layout Packs every single week. Today, we are announcing the Design Initiative 2.0. 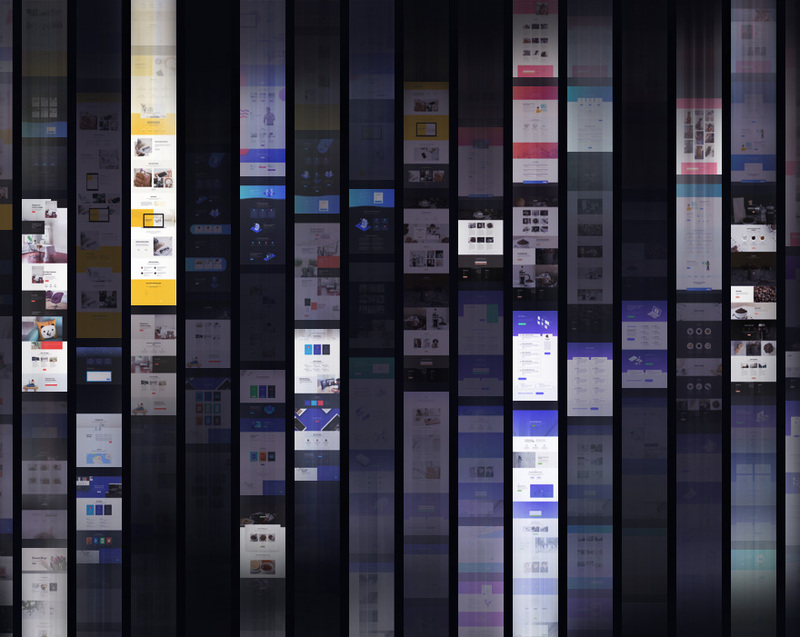 We are doubling down on design, doubling the size of our design team, and doubling the amount of amazing design resources that we will be producing, starting today. That means that you can look forward to two new Divi Layout Packs every week, for free. 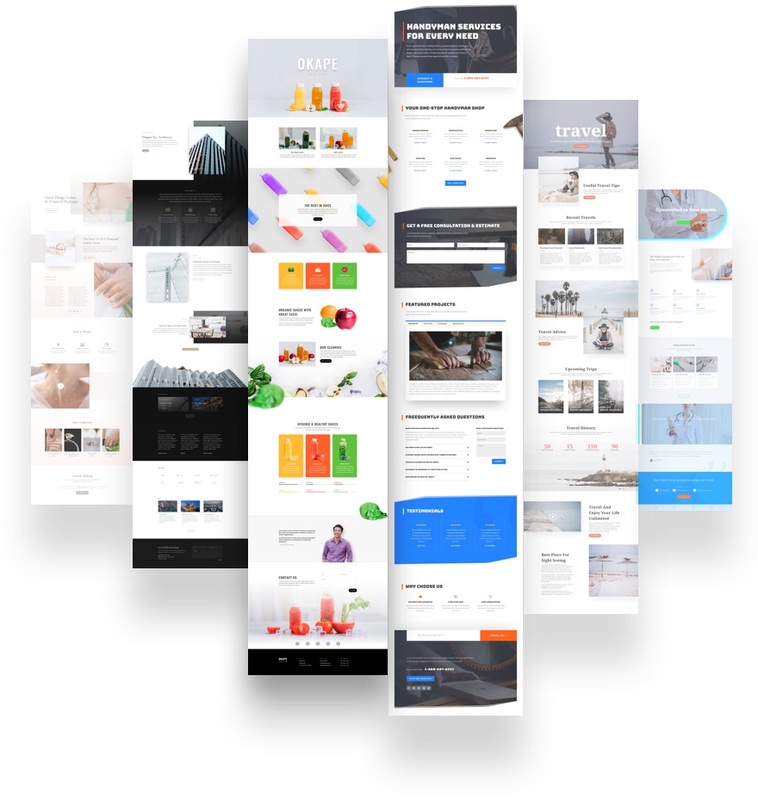 These packs feature world class designs filled with up to 8 unique layouts that can be installed with a single click, allowing you to get a full Divi website up and running in no time. That’s over 100 new packs and over 800 new layouts every year, for free! Over 800 New Layouts Per Year, For Free! Starting today, you can expect two new Divi Layout Packs each week. That’s over 100 new layout packs per year, which means Divi will have the biggest collection of pre-made layouts anywhere! We will be announcing each new release on the blog, so be sure to subscribe to get notified about each addition. Using a Divi Layout Pack is almost like getting access to an entirely new theme since each pack comes with 8 layouts designed in a unique and cohesive style, and created for a specific purpose. With each new release, we satisfy the needs of more and more customers and their clients. When you consider how many diverse layout packs are available for Divi, it’s easy to see just how powerful the theme has become, empowering you to build just about any type of website you can imagine. Our layout packs bring the amazing potential of Divi to life. We are hard at work producing all kinds of beautiful designs on a wide range of subjects. Our goal is to satisfy a different niche with each release. No matter what kind of website you are building, we want to provide you with some inspiration that will help get your project up and running quickly. Just take a look at a few of our upcoming designs! We take a lot of pride in the quality of our design, and we hold our layout packs to the highest standard. A great layout pack doesn’t just look good, it’s also easy to use and uses native Divi features to the best of their ability. This is a core philosophy that guides our layout pack production. The results are layout packs that strike a great balance between simplicity and beauty while at the same time teaching customers how Divi layouts should be built. These aren’t just great tools, they are also great sources of inspiration for all Divi users. All of these layouts are available right inside the builder and can be imported onto your page with a single click. Whenever we release a new Divi Layout Pack, the layouts will appear right inside the Divi Builder. No need to download anything and no need to update Divi to get access to our latest designs. Simply click the Load Layout icon in your Divi Builder toolbar, browse and search through our wide array of designs and then click to import them right onto the page. It’s that easy! The post Divi Feature Update! The Divi Design Initiative 2.0: Doubling Down On Great Design appeared first on Elegant Themes Blog. Review and opinions of Divi Feature Update! The Divi Design Initiative 2.0: Doubling Down On Great Design theme.